This booklet allows you to determine crimping parameters necessary to produce a hose assembly according to Manuli's Integrated System. 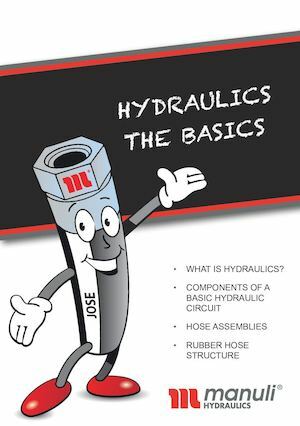 This guide applies only to hoses, hose fittings and ferrules made by Manuli Hydraulics. This poster version of the booklet allows you to determine crimping parameters necessary to produce a hose assembly according to Manuli's Integrated System. This guide applies only to hoses, hose fittings and ferrules made by Manuli Hydraulics. Termination end identification can be tricky. That is why this guide presents the most common termination ends described by international standards as well as OEM specials and helps to understand how to identify and select them. A brief overview of what is a hydraulic system and how it works, written for beginners. Easy to understand, will give any hydraulic novice a starting point on his learning curve. T.O.P. S.E.C.R.E.T. is an acronym that stands for relevant factors that must be evaluated when choosing components of a hydraulic hose. This method, developed by Manuli Hydraulics, is an easy way to memorize these factors for easy application. Learn how to properly assembly a hose with Easy Fit fittings (push to connect concept). Learn some good practices for routing & installing hydraulic hose assemblies. 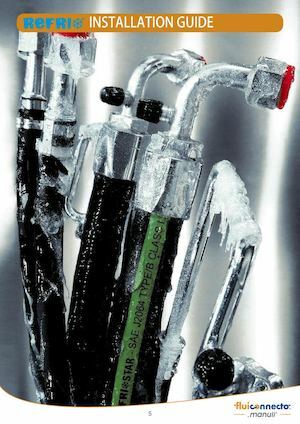 Refrigeration hose & fitting installation instructions provided for clamp, screw type reusable and crimped fittings. This hose compatibility guide describes the compatibility and resistance of Manuli Hydraulics hoses to various fluids, lubricants and chemicals. Select the best hose for your application without compromising durability and safety.